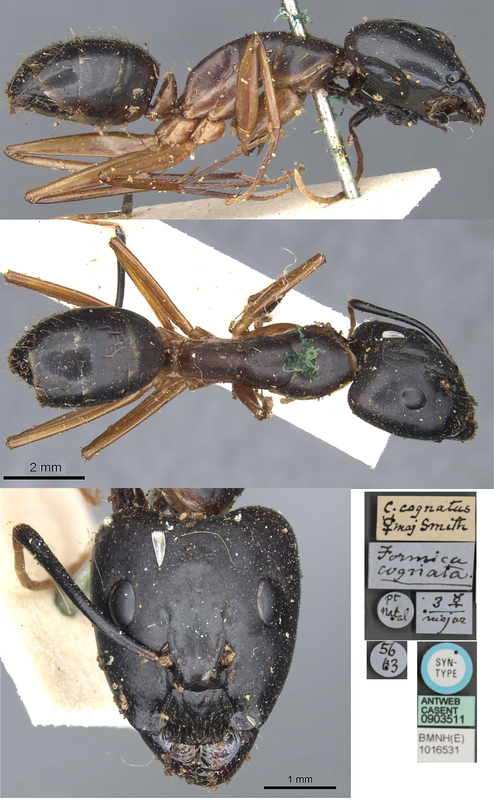 Type location South Africa ((Formica cognata, Smith, F., 1858b: 35, major & minor workers; Mayr, 1862: 655, queen & male) . Smith's (1858b) description is at . "Extremely like F. maculata, which it may be; the antennae and head as in that species; the legs entirely ferruginous; the gaster entirely black"; TL 11.65 mm; Port Natal. Minor head narrowed slightly behind the eyes, gaster entirely black, legs red. 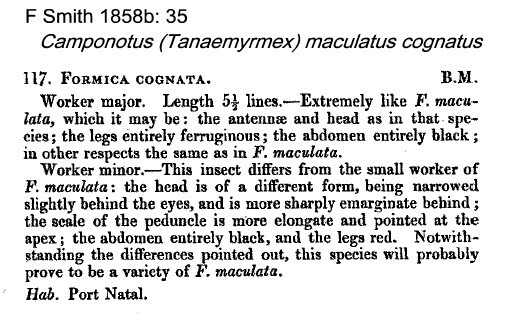 Mayr's (1862) description of the queen and male is at .